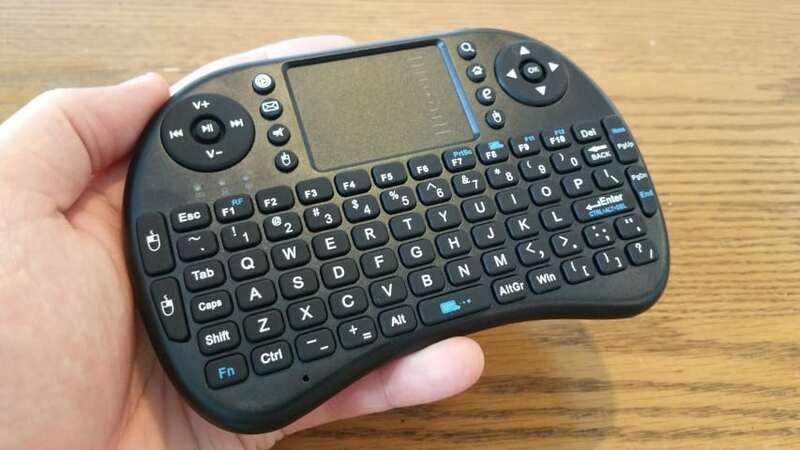 This week I got a new Mini Keyboard for my Raspberry Pi media centre (currently using OpenELEC) after years of using the ‘Yatse’ Android KODI app to control my Raspberry Pi, so I thought I’d write something to share the different remote control options I have found since owning a Pi. I’ve always had the opinion that ‘less is more’ when it comes to remote controls. I’m sure during the 90’s having 4/5/6 remotes on your coffee table was almost a sign of power and affluence, however it’s the 2000’s and the IKEA minimalist generation have taken over – and that clutter just isn’t cool any more! Need a Pi Media Centre? 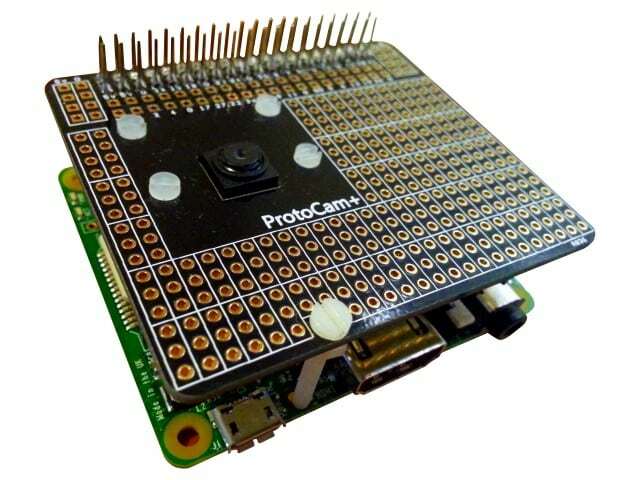 Check out this great value starter kit from the Pi Hut! Using your Android phone/tablet to control a smart looking media centre, powered by a tiny PC that your mates haven’t even heard of, is pretty damn cool! It’s like a little party piece when you have friends round for a film. Not only that, it’s also very easy to use – simply tap the icon on your phone, and the app opens up to the main control screen. It works using your home WiFi network, so as long as your devices are on the same network (and ideally you’ve set your Pi to a static IP address) it will work instantly. It also has a lot of cool features that are really only available on a control with a screen – like the ability flick through your media libraries on the phone and even see the DVD covers/fanart, enquire on the actors and much more. Yatse is fine of your phone/tablet is charged – if not, you need a backup. It can also be a bit fiddly if you need to use your phone for something else. So whilst Yatse is a slick option, it’s by no means perfect. 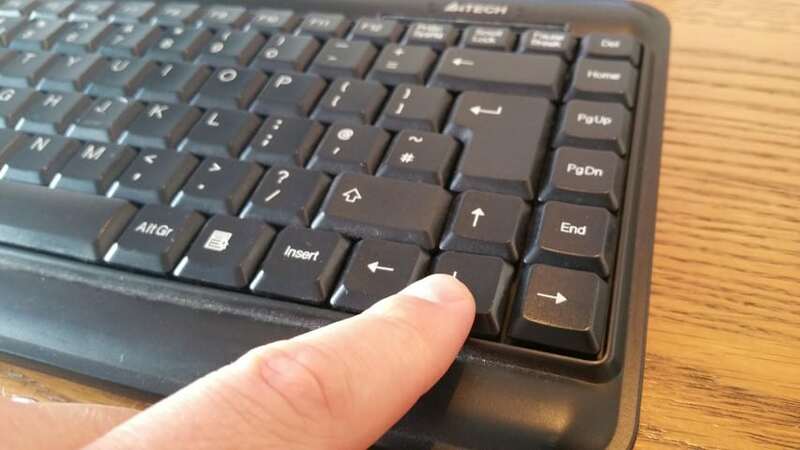 Small, full of buttons and even a trackpad – the mini keyboard is another handy option. Having a dedicated physical control for your Pi Media Centre is an obvious choice, and avoids the kind of conflicts you get with app control as I mentioned above. The mini keyboard it’s not quite as impressive as using your tablet/phone, but it’s by no means a normal remote control. The small size and layout definitely has that geeky appeal we all love, and is still sure to impress friends. In terms of set-up – I was pleasantly surprised how easy it was to get going. It comes with a USB receiver that plugs into your Pi, which I expected would need some packages or code. Wrong – you just plug it in, turn on the remote, and it works out of the box. How? No idea, must be built into OSMC/OpenELEC etc. Using it is dead easy, the buttons give you good feedback (unlike the Yatse app being on a touch screen – you cant look away easily) and it’s very responsive – no lag or delay at all. There’s also a mouse pad which works well, with left/right mouse buttons. Unlike some other similar devices, it has an on/off switch (rather than auto) which I prefer as you know for sure when you have turned it off (although this does mean you can leave it on accidentally). I also found that you can turn it on/off whenever you like – the Pi picks it up instantly at all times (unlike things like Bluetooth that can take a while). A bit like the Yatse app option – I have to charge it. Not often, but it’s still something to consider. 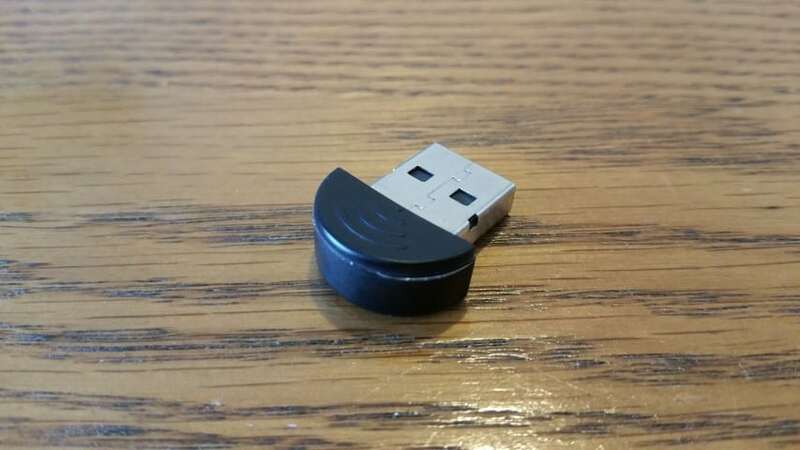 It does come with a USB cable for charging, but it’s not micro-USB which was a little disappointing as everything else I own uses that generic format. Another gripe – probably more to do with the Media Centre software, is that not all of the buttons/shortcuts on the keyboard work with OpenELEC. That’s just one of those silly little things though, and maybe you can map these somehow? I’ll be looking in to that. There’s also the fact that it is technically another remote in your Lounge. That will be a personal preference thing. Using your existing TV remote with your Pi is probably the easiest option of them all. It requires no additional hardware, costs nothing, and works (usually) straight away as long as your Pi is connected via HDMI. Functionality depends a lot on your remote – but the basic functions of navigation, select and back/exit should be there for most people. This is also probably the minimalist’s control of choice – with no extra devices or clutter, it’s a clean and simple solution. Currently, with my Pi 2 and using OpenELEC rather than OSMC (which I used to use on the original Pi) – HDMI-CEC isn’t working. I’ve tried the various troubleshooting options, but with no success. So that makes this option pretty redundant for me right now. I’ve called it a ‘stupid thing’ many times this week. 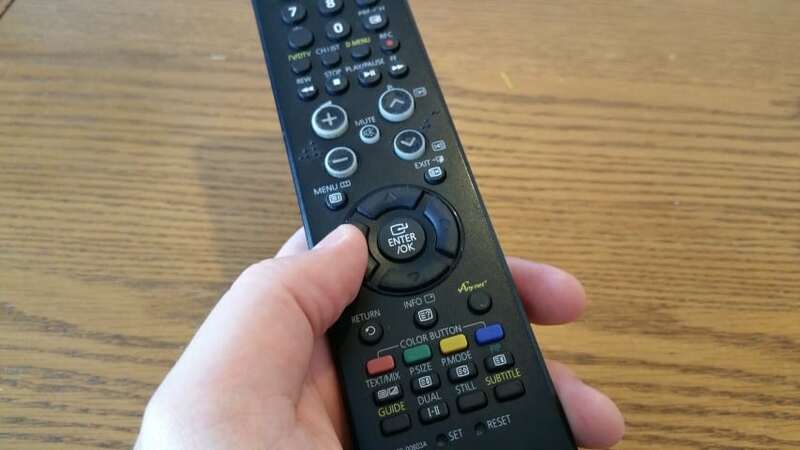 Also the lack of functionality in terms of limited buttons can be an issue too – for example, I don’t have that ‘right-click’ option on my remote which would normally allow me to go into context menus and select options. Lastly, it’s just not as cool as some of the other options here. FLIRC has been around for a while, and is a bit of a niche halfway-house of some of the other options here. If you want to use your existing remote (or any other remote for that matter), and maybe if HDMI-CEC isn’t working for you – this could be a good choice. My dad is looking at one of these for his motorhome Pi, simply because he has no network to use Yatse with, and his little Motorhome TV doesn’t seem to have HDMI-CEC. This will allow him to program his existing remote however he likes. 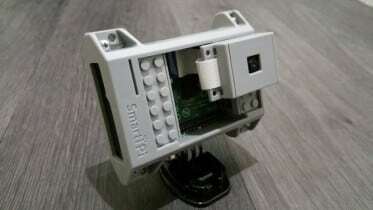 If you really dig the FLIRC, check out their matching case for your Pi. Back to the old school! Yes you can just simply plug a keyboard and mouse into your Pi (even easier with the extra ports on the Pi 2 now). Lots of wires, and you’ll need to be near your screen, but it’s a very simple option to get started with (maybe while you wait for your other remote option to be delivered?). 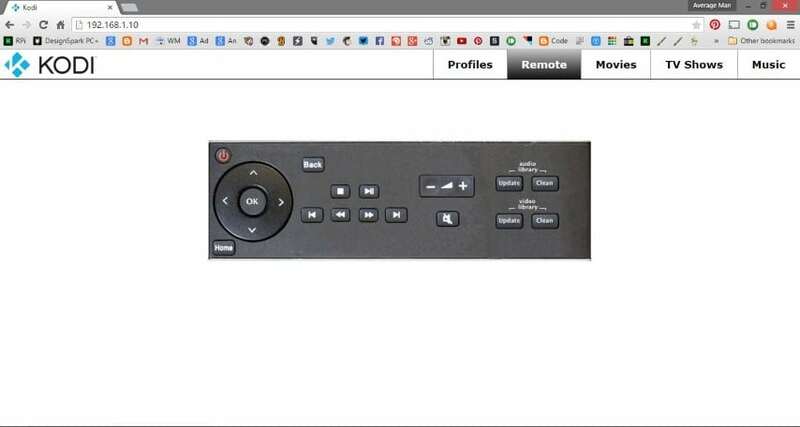 Did you know you can enter your Pi’s IP address into your browser, and an on-screen remote will appear? It’s a standard Kodi thing, so should work with any Kodi device. The menus aren’t all that pretty, but if you’re the kind of person that is likely to have your laptop on anyway – maybe this is a cheap and easy option for you? 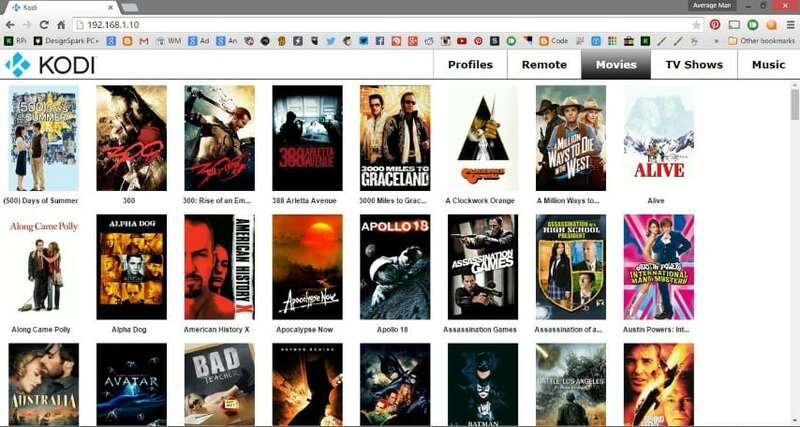 You can also browse your media, such as my movie collection here! Bluetooth and the Pi, Hmm. I’ve not come across many forum topics that start “I’ve had great success with Bluetooth on my Raspberry Pi”. It probably works just fine (just never for me), and maybe things have moved on a bit, but this option seems a little dated now that we have 2.4Ghz keyboards like the one I mention above. I guess if you already have a spare bluetooth keyboard then you might want to choose this option, but I’m going to avoid any bluetoothery with my Pi. Decisions decisions! All needs, preferences and wallets are catered for when it comes to controlling your Pi Media Centre. Personally, I’m going to continue with two options – Yatse and the 2.4Ghz mini keyboard. That might sound excessive, but it gives me the best of both worlds. When I’m too comfy in my chair to get up, I can use the Android app. When my phone is dead or I’m using it for something else, I can use the keyboard. Lastly, and most importantly, when my wife wants to use the media centre when I’m out – no more moaning that she doesn’t have the app! 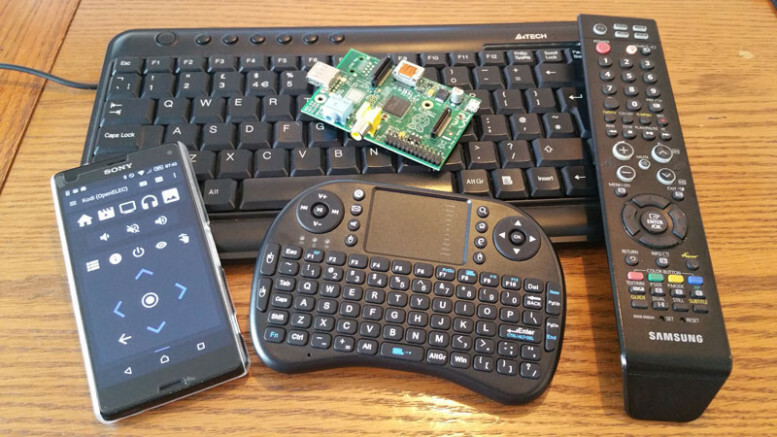 10 Comments on "7 Remote Controls For Your Raspberry Pi Media Centre"
RE: Bluetooth keyboard. I did a short review on the Bluetooth Ranger Keyboard recently, which I got working with my RPi over the weekend. It has made life a lot easier, and less wires connecting to my RPi. You can read about it here. http://www.lookatbowen.com and I have a review of the actual keyboard as well, as it has some extra features. Great article though, thanks. Nice ideas, I was enlightened by the details. Does anyone know where I would be able to find a template TX TCEQ 10228 P1-7 Instructions/Form document to use? Hi Patrick. I have to ask…what is a ‘TX TCEQ 10228 P1-7’? Connecting using an android phone with wifi-hotspot tethering, the Raspberry pi automatically connects to the network. With Kore installed in your phone, simply open the app. 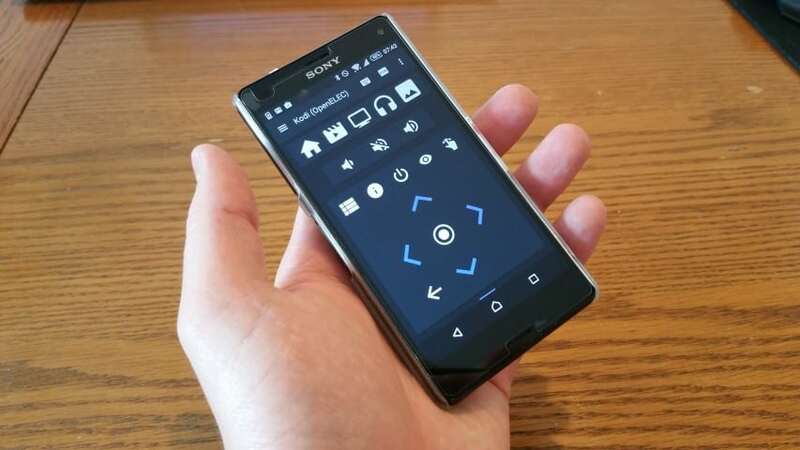 The app will automatically detect and thats it..
You did not mention the essential part that kodi has a free android client Kore, and also an iOS counterpart.